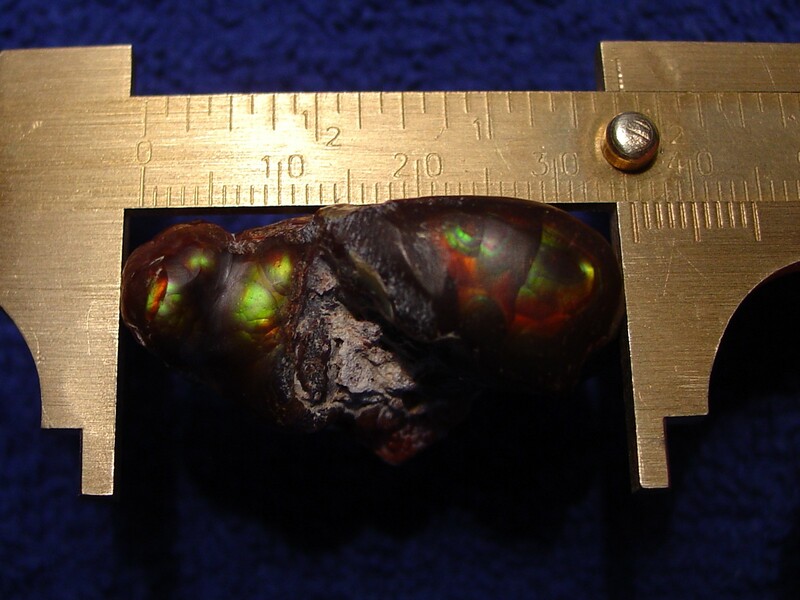 weighs 71.2 carats and measures 1-3/8 x 1/2 x 3/4 inches (34x14x20mm). 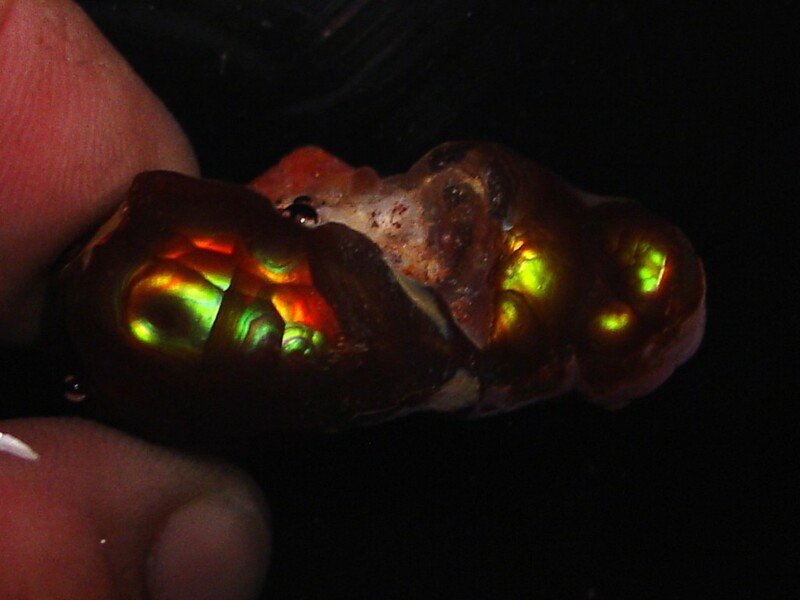 It has been cut and carved to the initial very bright fire layer and is showing multiple vivid colors. 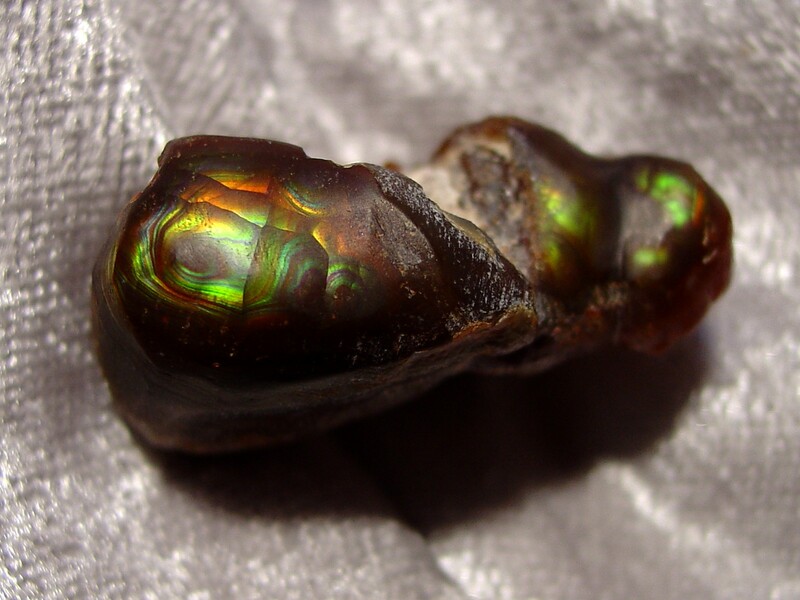 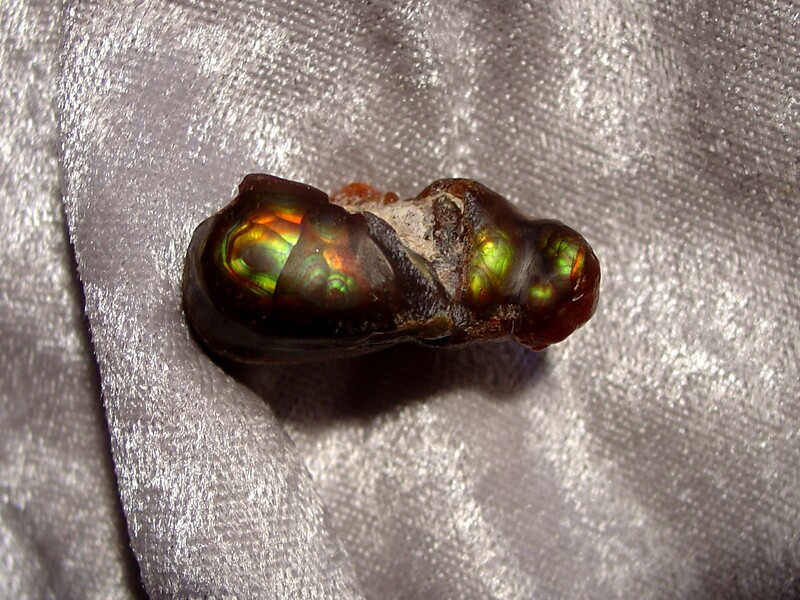 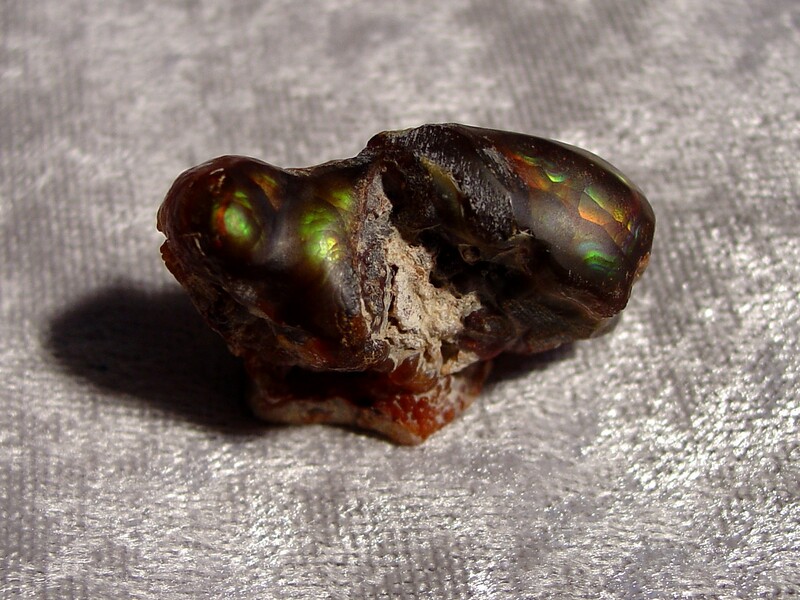 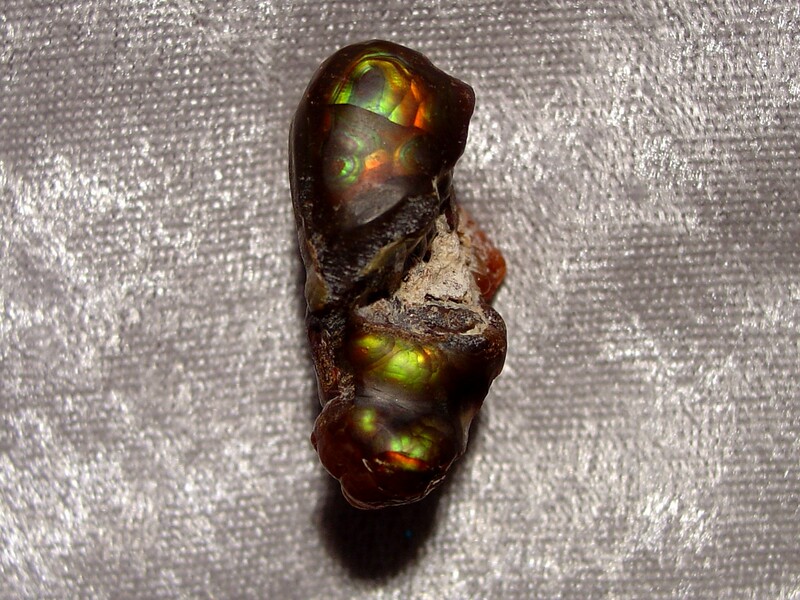 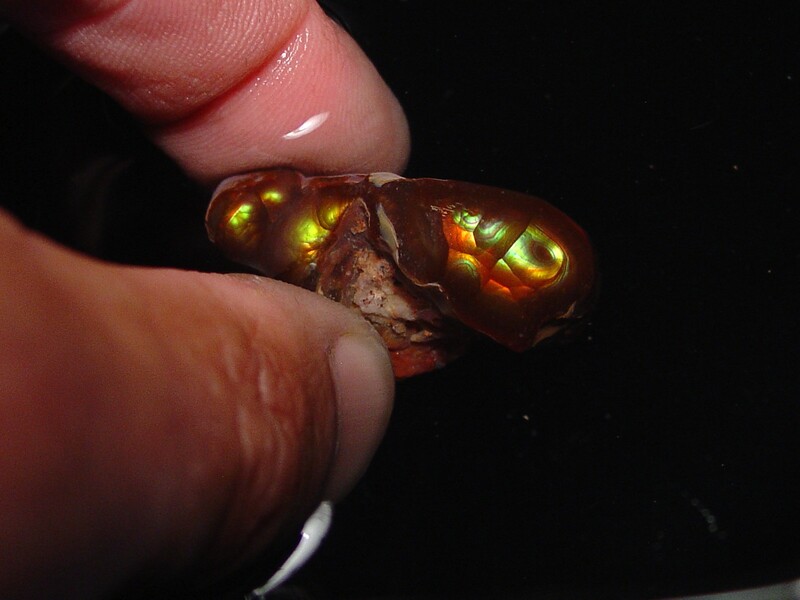 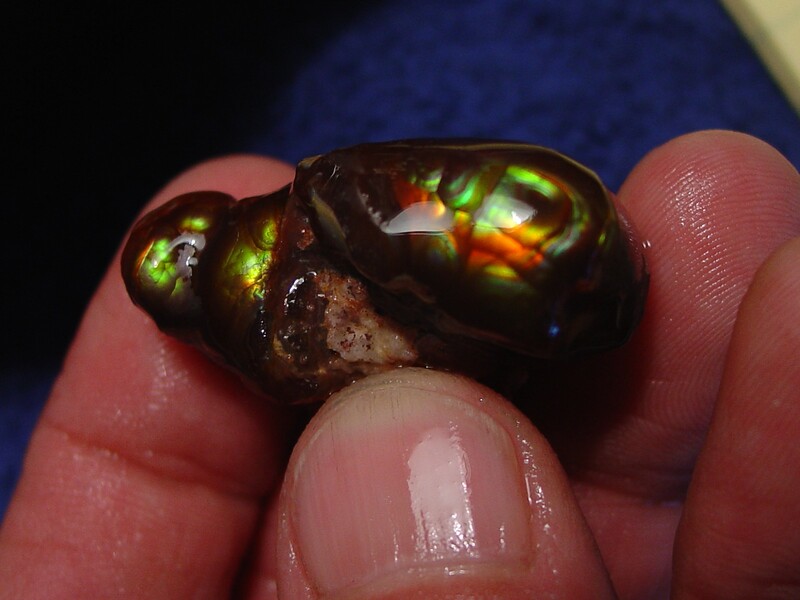 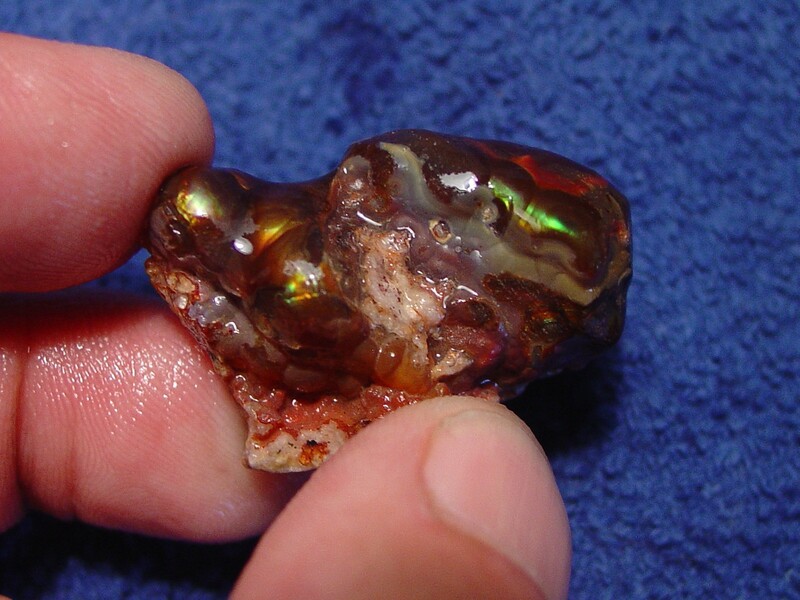 This piece could likely be cut into multiple high grade fire agate gemstones, carved into a very unique presentation display piece by a skilled carver, or could be used as a wonderful collectors display specimen. 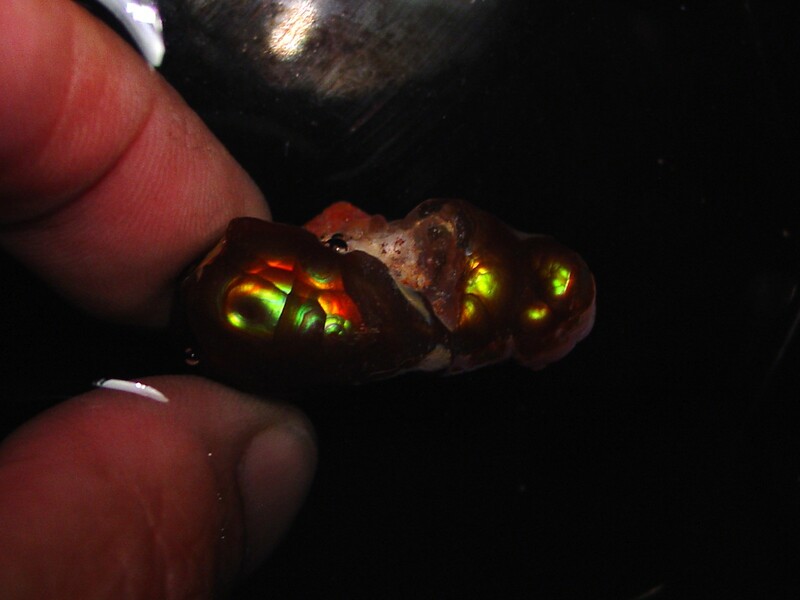 Photographs were taken indoors under lights while the gemstone was both dry and then also wet to simulate a polish and best display the fire. 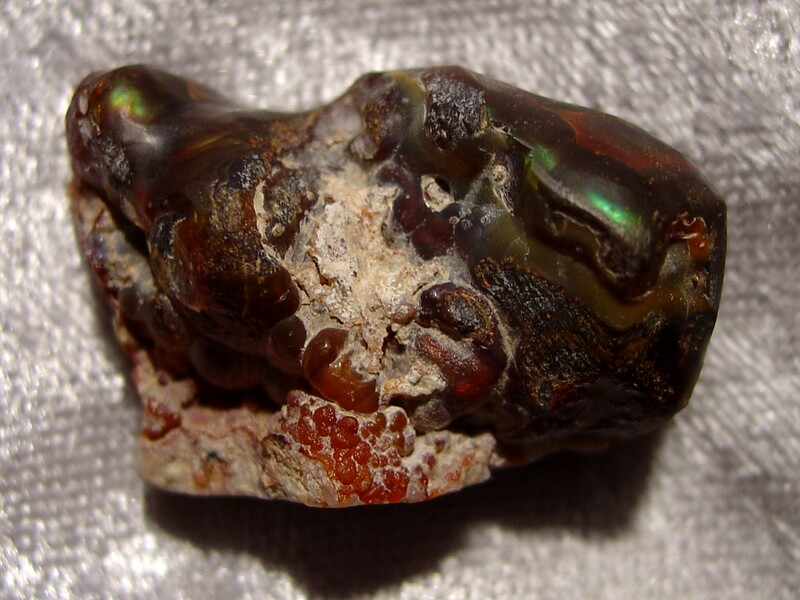 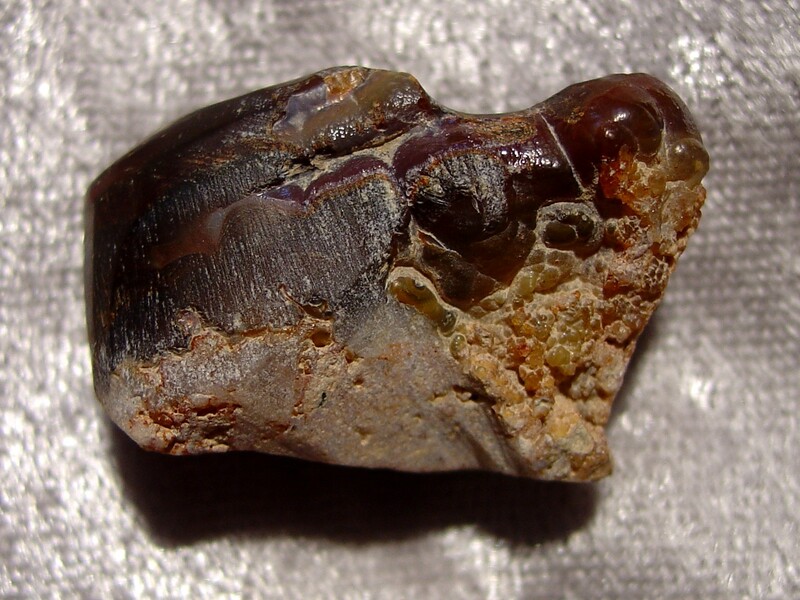 This gemstone originates from Slaughter Mountain, Arizona, known for some of the best fire agates in the world, with intense color variations from bright reds and oranges to intense greens, purples and blues.